IWC provides snow plowing and ice removal service for commercial and industrial clients. We continuously monitor weather forecasts and changing storm conditions in order to provide our clients with a level of comfort making sure that all of their snow/ice removal needs are being met. 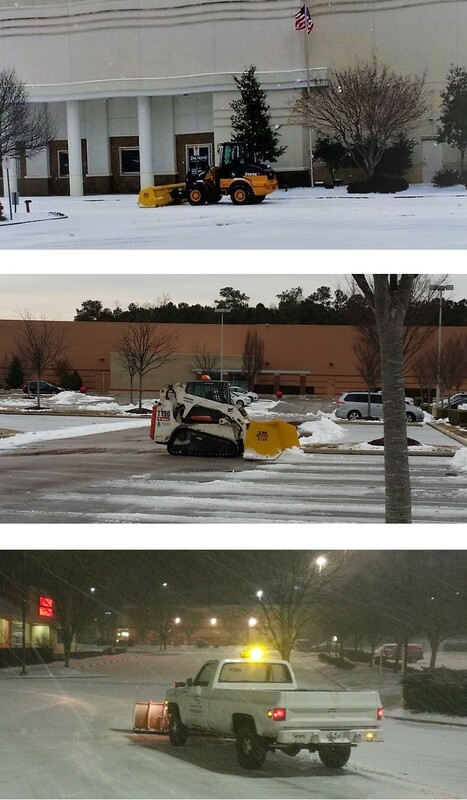 Our fleet of snow removal vehicles is ready at a moment’s notice 24 hours a day, 7 days a week. As an Ice B 'Gone Magic dealer we are able to provide professional, reliable service with superior results. We will ensure safe access is restored in a timely manner to your roads, parking lots and other vehicle traffic areas. Let us get you ready to get back to business after the storm. If you're thinking ahead to a storm that hasn't arrived yet, we offer pretreatment services as well. Ice B ‘Gone Magic (aka IBG Magic Granular & IBG Magic Liquid) is a highly effective ice melting product. It is highly effective down to -30°. Snow will “burn off” with no plowing. IBG Magic Granular works faster and lasts longer than traditional road salt, saving you up to 30%-50% in salt use. IBG Magic Granular is less corrosive, biodegradable and environmentally friendly. See why everyone is talking about IBG Magic!"